Thousands attended the TV taping in Chicago for the star-studded array of performers, hosts and presenters that resemble a made in Hollywood presentation recently. Mega-stars Vivica A. 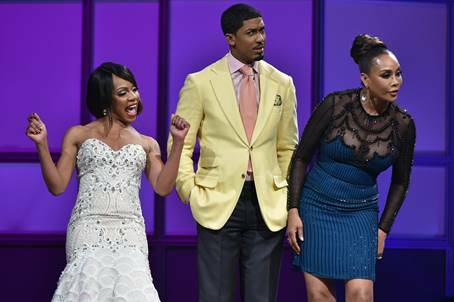 Fox, (Celebrity Apprentice), Fonzworth Bentley (Making the Band, Lift Every Voice) and Wendy Raquel Robinson (The Game) hosted the national televised event that had something for music fans of all ages held at the House of Hope Arena. The Allstate Gospel SuperFest, the most widely distributed TV show in black gospel music history, kept its promise with its trendsetting production. This year’s line-up featured chart topping inspirational recording artists including; The Rance Allen Group, Dorinda Clark-Cole, J. Moss, Bishop Larry Trotter, Ricky Dillard, The Walls Group, Shirley Murdock, Brent Jones, Lisa Page Brooks, Lexi, Vanessa Bell Armstrong, and many others. Over thirty national acts performed on to the stage during event. Lifetime Achievement Awards were presented to Bishop Marvin Winans and gospel great Richard Smallwood given by Bishop Paul S. Morton.